Our "School Curriculum" comprises of the statutory elements of the National Curriculum together with all other events, activities and visits that we organise to support the children’s learning in the areas that we refer to as our “Key Drivers”. These are areas of development and learning that we consider to be vital in helping our pupils to become responsible and well rounded citizens of the 21st century. After much discussion, deliberation and consultation with staff, pupils, parents/carers we decided that our three Key Drivers would be The Arts, Knowledge and Understanding of the World and Personal Well-Being. Therefore, in addition to the statutory requirements of the National Curriculum we plan learning opportunities to ensure our pupils develop skills, knowledge and understanding in these important areas. Developing our School Curriculum is very much work in progress. 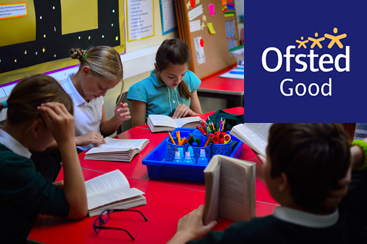 For example, all year groups now teach most lessons in a topic based approach; so the children’s work in subjects such as Geography, History, Art, Music and D&T will be closely linked to a central theme, the titles of which are included in the “Annual Curriculum Topic Plan by Year Group”. New curriculum planning pro-formas were introduced at the start of the 2015 to 2016 academic year and the teaching staff have been working hard to develop and improve how we go about engaging our children in what we think is a really exciting and memorable curriculum. The “Curriculum Topic Plan by Subject” is used by teachers to ensure that all the children are taught the entire National Curriculum during their time at Beech Green. Our teachers are experts at organising and differentiating lessons to meet the needs of all our pupils. We plan to always challenge our pupils, even the most able and through careful monitoring of standards we aim to ensure that all our children make progress which is at least in line with age related expectations. However, when necessary we provide additional support for pupils who learn at a slower pace. Academic standards especially in the key areas of reading, writing and maths are very important to us at Beech Green but we also aim to provide a broad and balanced curriculum, so our children are well prepared for the next stage in their education, as well as for life in modern Britain. If you would like to find out more information about our curriculum please don't hesitate to contact me at school.